Martyart » Blog » MartYbears almost total 250! When I first started making these little bears, I had absolutely NO idea that I would make so many. I have just added the pics of my most recent creations which have been sent to various places in the UK as well as to the USA and Australia. If you would like to offer a bear a good home you will me supporting me supporting Justlife in helping their clients to find a good home. 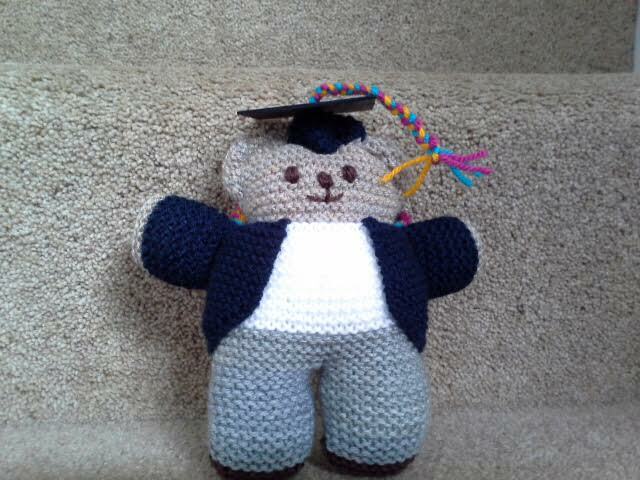 Margaret made made us a custom Martybear for our newly born little boy Edward. The “E” on the bear’s jumper was very sweet and a great touch. We can’t thank Margaret enough!